That's a cool pipe! One of the things I really love about Yello-Bole, is that they varied wildly in shape and style. You could get a traditional smooth billiard from them, or some weird white stemmed funky scoop shaped pipe. They always seemed to do it right somehow - at least for my tastes. What.a day I tell ya... everything is like a sheet of ice and I finally broke thru to manageable conditions. Fuggedaboutit. Pretty soon it'll be so hot they'll be opening up the johnny pumps. Mornin' Y'all! 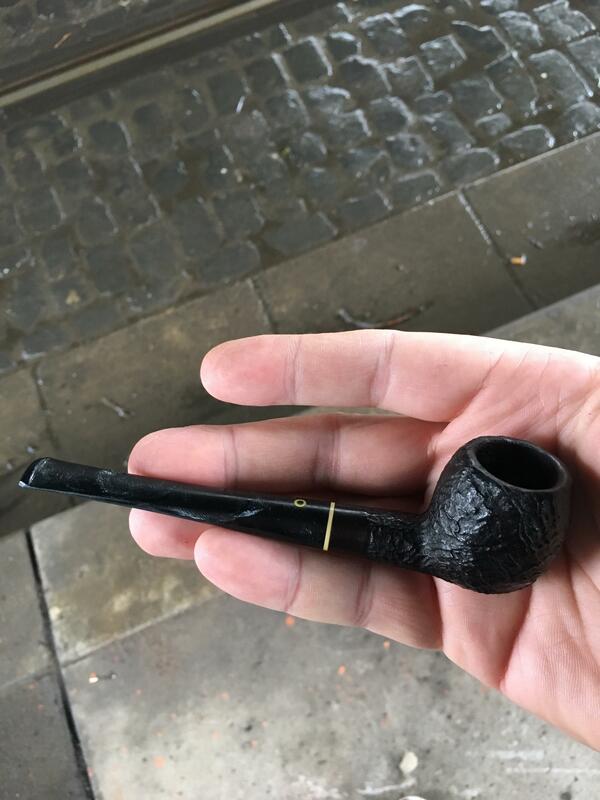 "Old Bill's Dark Fired Mixture" in the smooth XL305. Oh, okay one more time! You guys are a bad influence on me, I smoke more now than I ever did before joining this darned forum! I'm watching it rain today which makes me doubly proud to be retired as I worked outside rain or no rain. 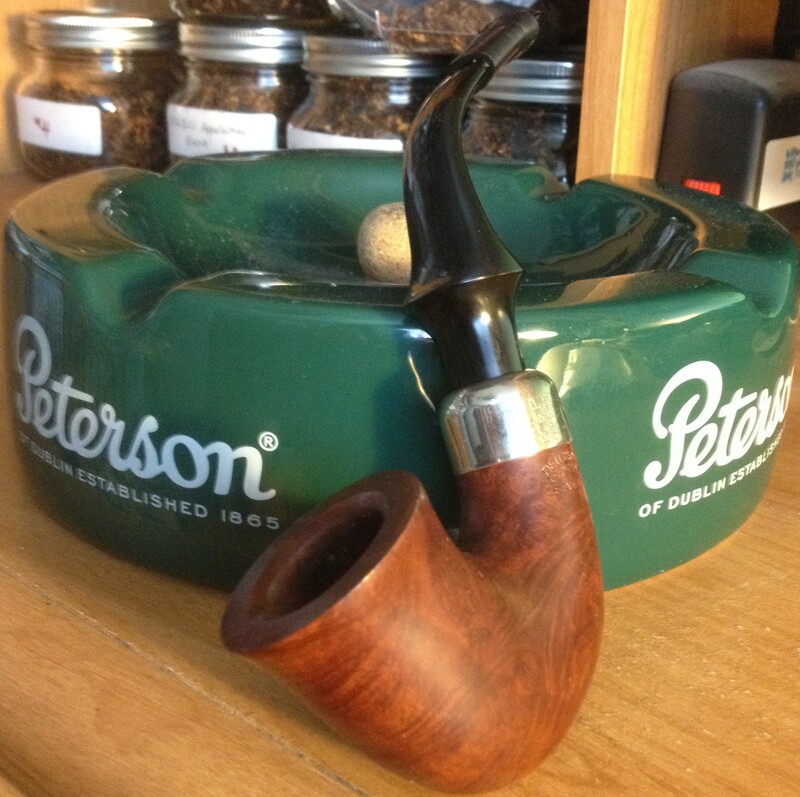 I've enjoyed watching it so much today that I had a mid-morning bowl of CB "Round Taste" in the Grabow Regal. After lunch it was SPRT in the MM Cob and I'm still watching it rain. Internet is down, so I am posting via the phone. Next smoke will be SPRT in a Blakemar poker. Having some SWRA in a Ropp Bonaparte(obtained from the fine gentleman, @rekamepip). An amazing clencher, and great smoker. 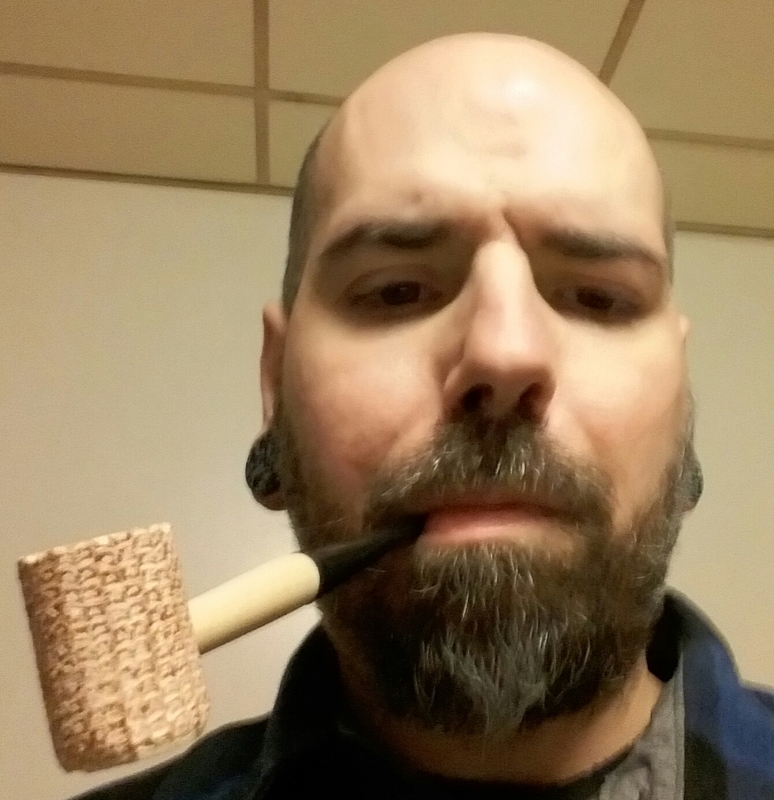 Home from work with some Brown Flake in a Grabow.